For a non-issue that Samsung was quick to (try to) play down, the “reddish tint” on the “Infinity” displays of both the Galaxy S8 and S8+ is sure getting a swift, wide-scale and thorough over-the-air fix. Yup, the software update the chaebol unenthusiastically promised very recently “because of some dissatisfied customers although there is no problem in the phone itself” is already rolling out across several European markets, as well as Korea and India. It’s fairly weighty too, at more than 400MB, suggesting perhaps other patches, performance enhancements or settings tweaks are also baked in. Either that, or the “improved color optimization and convenient color adjustment” is simply a bigger deal than we were told. What’s important is many Galaxy S8 users can now fine-tune their screens to hopefully show nicer, more natural hues. Meanwhile, the company’s groundbreaking new “intelligent interface” is finally and officially becoming a proper voice assistant today… in Korea only. Bixby can take spoken commands for various native tasks and services, working in Gallery, Settings, Camera and Reminders apps to begin with. 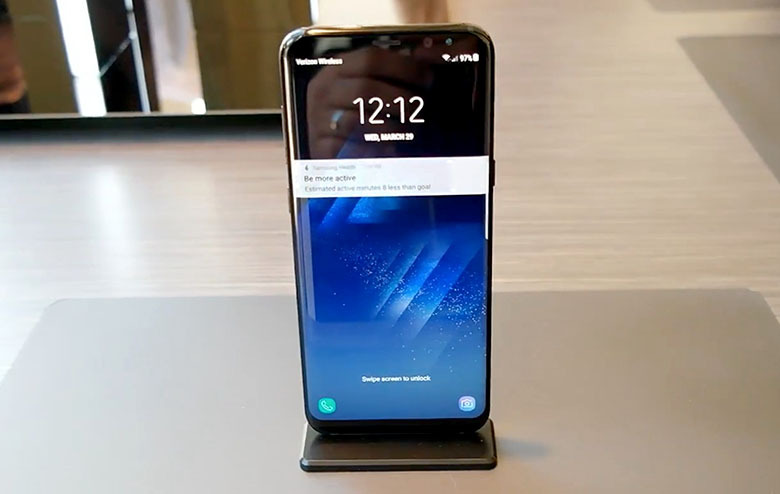 Samsung of course envisions a major expansion of Bixby’s skills in the near future, making all the efforts to recruit third-party developers and add English and German (among others) to the sole language currently supported. Don’t forget about Vision shopping either, which is also more or less a work in progress.